The first 2012 Silkstones are announced! The people attending the BFC ( Barbie Fan Club ) event at this summers Barbie Convention in Ft. Lauderdale Florida were shown a preview of one of the 2012 Silkstones . The Silkstone designs, according to their designer Robert Best, are going back to the classic lines of the 1950’s. The line for 2012 is being called “Atelier” which defined means artist studio. 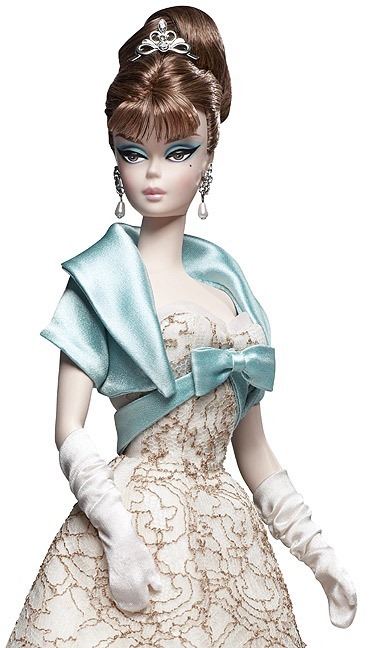 I am looking forward to a return to the classics and the photos from these first two offerings have me very excited to see what the rest 2012 will hold for this fabulous line of dolls from Mattel. Photos of the next BFC club doll were also shown to the BFC members this past Tuesday. 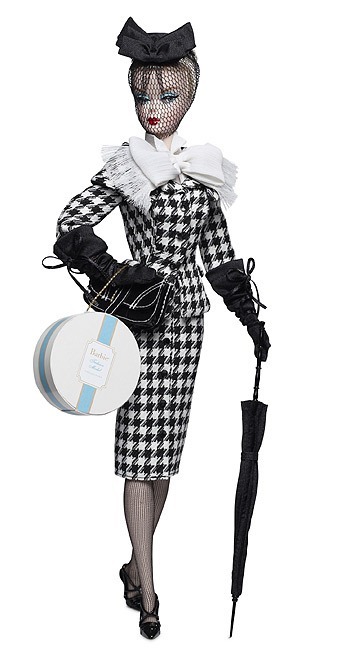 I can’t show photos of this lovely lady until I get an okay from Mattel but all I can say is that if you like Silkstones, gorgeous day suits, hats and Dior….RUN don’t walk to sign up for the 2012 BFC. The BFC will be open for new members sometime in February of 2012. Check the Barbie Collector site( www.barbiecollector.com ) for more information. This entry was posted on December 22, 2011 by raberry65. 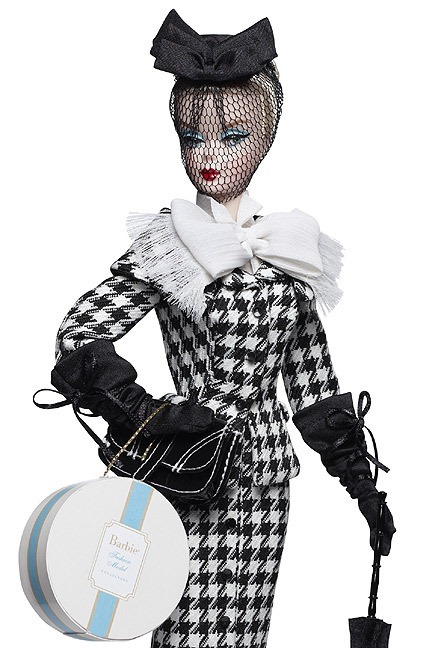 It was filed under Barbie, Silkstone and was tagged with 2012 BFMC Silkstone Barbie, 2012 Silkstone Atelier Collection, Barbie, BFMC, Party Dress Silkstone Barbie, Robert Best, Silkstone Barbie, Walking Suit Silkstone Barbie. I love all three!!! Can;t wait for 2012!!! I completey agree with you Judy! I can’t wait until February when we should get more sneaks.